A life without glasses or contact lenses – this wish can come true at any age, regardless of the type of defective vision. That´s what Munich´s Smile Eyes experts ensure – competent specialists that will find the best and most secure laser treatment for your eyes. 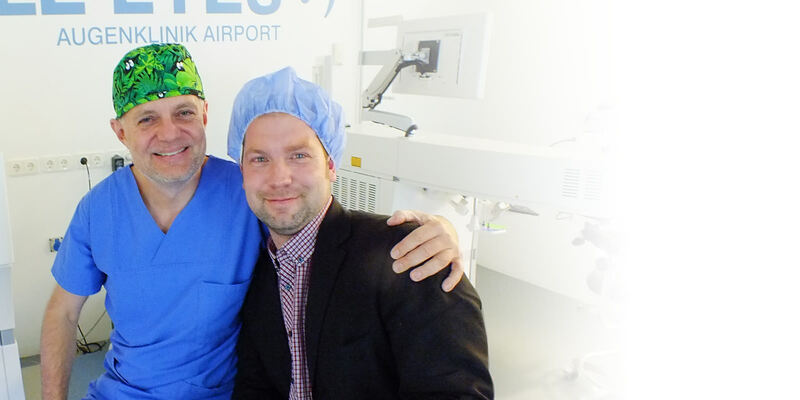 Munich´s Smile Eyes surgeons at the locations Alte Börse (Stachus) and Airport excel by year-long experience in the field of eye laser and refractive lens surgery. It is many years that we are reference center for the laser manufacturer Zeiss and eye-specialist contracted to German Lufthansa. It is with pleasure that every day we dedicate ourselves to our passion: the miracle “eye”. It is our goal to treat you as we would expect to be treated ourselves. Why have your eyes lasered by Smile Eyes Munich? More than 20 years of experience, more than 1000 interventions annually. The SMILE-method –developed by us and already applied more than 2.000 times. of Zeiss, the German eye laser manufacturer, and offer modern technologies for the best possible methods of examination and treatment. Furthermore Dr. Wiltfang is a member of the Scientific Board of Zeiss and has been published on the list of physicians of the journal FOCUS as TOP physician. an airline, which subjugates to safety to the same extent as we do. The decision which method is best for you and your eyes can be made after a detailed preliminary examination and a consultation with one of our Smile Eyes experts in Munich. "The operation was an interesting event in a pleasant and familiar atmosphere." Apart from our expertise and know-how in the field of eye laser and lens treatments, in our eye clinic at the Airport and Alte Börse at Stachus we offer a number of further medical services in the field of ophthalmology. Make an online appointment for the center "Alte Börse".